The Johnston Food Bank would like to thank BI-LO and its customers for their generous donation of $7,382 during the recent Hunger Relief Campaign. 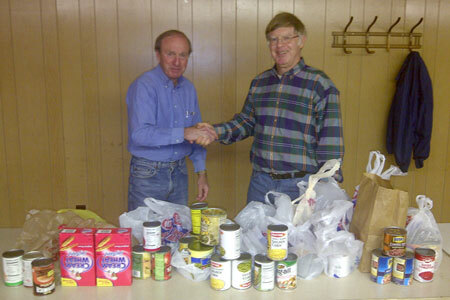 The Food Bank was able to purchase 515 cases of food with the money that was collected. 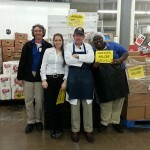 A special thank you goes to PEPSI for delivering the cases of food to the Food Bank. 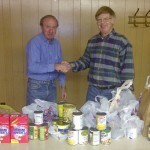 Macolm O’neal, President of the Johnston Sertoma Club, presents to Doc Watson, a Johnston Food Bank volunteer, hundreds of canned goods to help the Food Bank. Photo was taken at the February 11 meeting of Sertoma. The fine folks of the Edgefield BiLo.